Careful examination for thyroid abnormalities should be performed on each patient in routine office visits. Thyroid nodules occur in about 5% to 10% of the population; of these, approximately 10% are malignant. Differential diagnosis of thyroid masses is presented in Box 19-9. Risk factors for malignancy include exposure to radiation and family history of medullary carcinoma. Factors that increase the possibility of carcinoma include hoarseness; age younger than 20 years or older than 45 years; male gender; presence of a firm hard nodule; and vocal cord paralysis. The most common disorder in patients who present with a thyroid nodule is nontoxic multinodular goiter. The presence of multiple nodules is helpful in diagnosis, but only one dominant nodule may be apparent on physical examination. Non-toxic multinodular goiter may be endemic in iodine-deficient areas or sporadic. 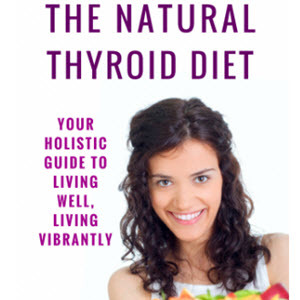 Nodularity is thought to be secondary to repeated episodes of deficiency of thyroid hormone, causing increased levels of thyroid-stimulating hormone (TSH), which results in hyperplasia of the gland. Symptomatic compression on the trachea or esophagus can occur. Surgery is reserved for functional problems caused by compression or to rule out malignancy. Chest radiography and CT are helpful in evaluating substernal extension of goiter.